Are you looking for more tours? Wide range of tours not only in Prague available at www.premiant.cz. When booking, please use the key word „HPLC2017“ to receive a special congress conditions. Cesky Krumlov, a town featuring a large “Bohemian Castle” resides in the region of Krumlov. It was created in the late thirteenth century, when the region was owned by the Bohemians, as a trade stronghold. The location along a natural crossing of the Vltava river made it a perfect place to build. The town’s appearance is little changed since the 18th century and the buildings have been well maintained and restored. It is a lovely castle city that still has the look and feel of a Medieval town. Crooked cobblestone streets and brightly-colored stucco facades make Cesky Krumlov beautiful and unique. The streets are full of interesting shops, succulent food, and timeless charm. Originally settled by the Romans, Olomouc has since enjoyed a rich history, including a brief time when it was the capital of Moravia. Now, Olomouc is a quiet but lively student city with a number of beautiful monuments and historical curiosities scattered around it. The Holy Trinity Column in the main square is another of the Czech Republic’s UNESCO sites, and the square also boasts an astrological clock to rival Prague’s famed Orloj. This one, however, won’t give you any sense of what the city’s medieval inhabitants wanted the keep track of; it was rebuilt by the Soviets, so instead of saints, you’ll find proletarians. 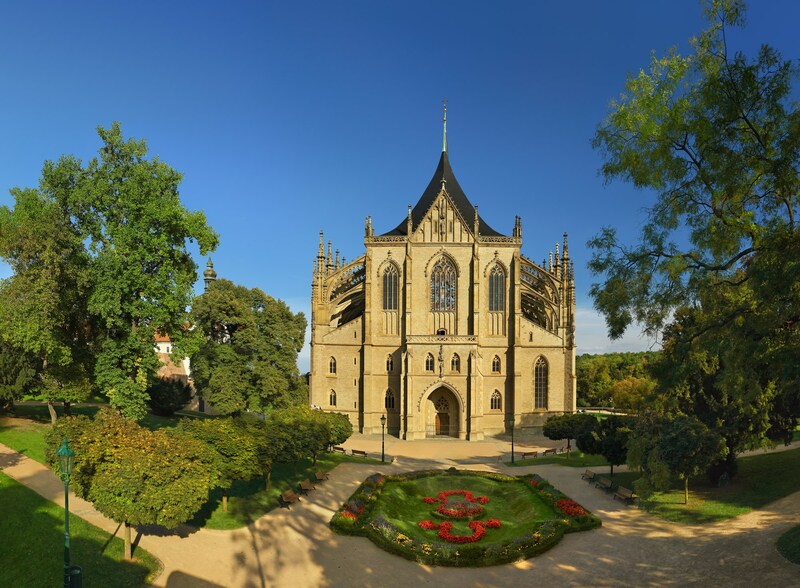 Kutna Hora began as the first Bohemian monastery in 1142. It began to boom and prosper as the town’s mountains were shown to have a large silver deposit in the 12th century. The town was under German control when much of this boom happened, and has created a number of spectacular Gothic buildings. Included in the list of must-see places is the five-naved Cathedral, St Barbaras Church. Also, the royal residence and mint now called the Italian Court, the current museum called the Stone Haus, the Ossuary (bone house), and two more lovely Gothic Churches. For Gothic Architecture lovers, there are few places with as many preserved buildings dating back to the 1300’s. This hot spring town has been believed for hundreds of years to have healing waters that can clear anything from poor digestion to brain tumors. Like many hot spring regions, the waters were developed into a large spa region. In this case, the transformation happened in the 13th Century, and was commissioned by Charles IV. As spas were the place of nobles, the architecture has always been opulent. However, a series of natural disasters have destroyed most of the buildings that existed before the heyday of Karlovy Vary in the 18th and 19th centuries. The town is still quite grand and picturesque however, and the spa is still open over six centuries later, and still claims miracle cures for dozens to hundreds of ailments. It is easy to forget among the Czech Republic’s other attractions that the western part of the country was once known throughout Europe as a spa destination for the elites. 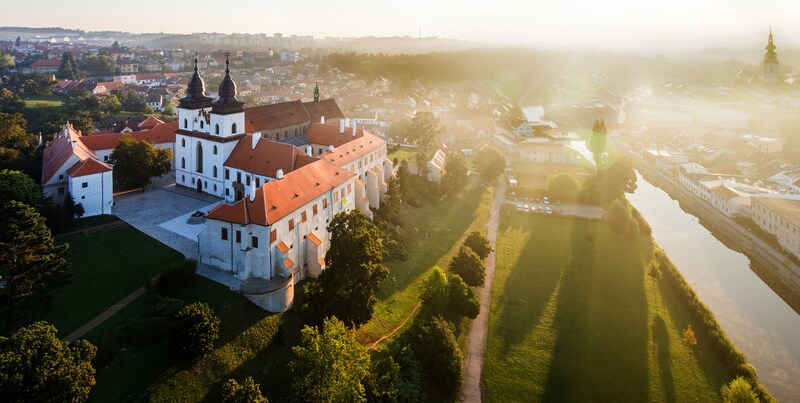 Because of the number of people who came to Mariánské Lázně for their spa treatments, the city quickly went from being a small settlement to being a fully-fledged spa town in the mid 19th century. After that, it quickly went through a period of growth and development, so most of the impressive historical buildings in the area date to that period. Besides enjoying a look around, you can also enjoy the same health benefits from the spas that the emperors and kings of the 19th and early 20th century did. 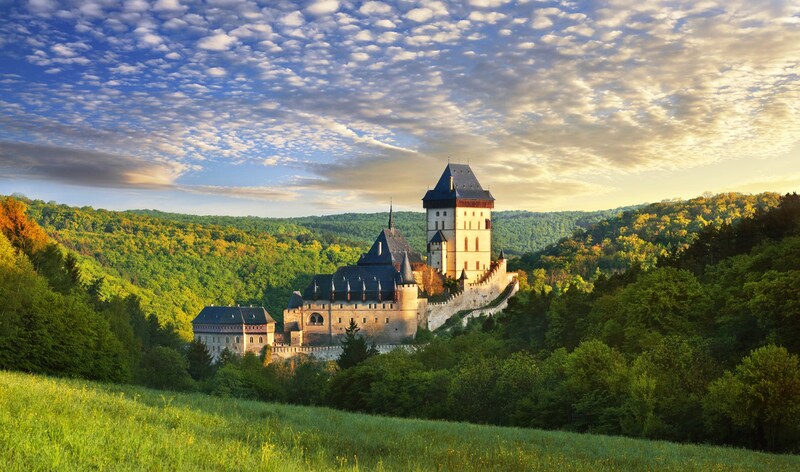 This 14th Century Gothic Castle was the home of Holy Roman Emperor Charles IV. It is located about 30 km (18 miles) from Prague, and makes a nice day trip for tourists staying in the city. The castle has served as a war fortress, a storehouse for treasure, and a royal home at different points. The building is designed with three terraced levels, each standing for different levels of importance. From lowest to highest, the sections are called the Imperial Palace, the Marian Tower, and the Big Tower. The Knights and the Emperor inhabited the imperial palace, the Marian Tower was reserved for the Empress, and the Big Tower was left for God, and has a chapel inside. This town in the Moravia region of the South was created as a port town in the 14th Century to facilitate trade between Bohemia, Moravia, and Austria. The town’s historic center boasts easter-egg colors and renaissance architecture, which make it a picturesque place to visit. The local Gothic palace was redone in the 17th century to remake it in Renaissance style. Beautiful churches like the church of the Holy Ghost and the local Jesuit Church make this a lovely place for photographers, architectural and history buffs. Yet another charming little city with a few UNESCO-listed sites, Třebíč really doesn’t disappoint. History buffs can check out the exceptionally well preserved old Jewish Quarter, including a fascinating cemetery. The St Procopius Basilica is also part of the UNESCO listing. Although it has been through several renovations, the building process started on it in the early 12th century. The town center is lovely and calm to walk around, and since it is a Czech town, there are a number of places to get very high-quality beer, including the Podklášterní (‘under the monastery’) Microbrewery. This is an example of a historical Czech town that is still almost completely undiscovered by the thousands of tourists who come through the country. Tábor, which translates to ‘encampment’, has a fascinating history. It was founded by a radical group of Hussite soldiers (the followers of Jan Hus, an early Bohemian church reformer) during the Hussite wars. So it was originally built up with several fortification systems, including its positioning on a hill and another system of tunnels. For a while, it even functioned as an egalitarian commune of peasants. The beautiful town square features a statue of Jan Žižka, the great Hussite leader. Despite its connection to war, you’ll still find striking Renaissance architecture and many great views out to the countryside around it.